Author Sharon E. Cathcart took up a challenge in 2012: to write flash fiction and full length short stories based on various prompts. Each story features one or more characters from "In The Eye of The Beholder: A Novel of the Phantom of the Opera" or its forthcoming sequel, "In The Eye of The Storm. "Brimming with historical detail, the stories in this collection range in place and time from 19th Century Persia to post-World War II San Francisco. 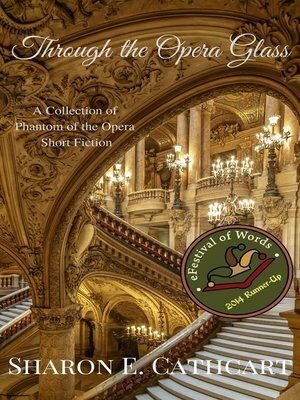 "Through the Opera Glass" is a finalist in "Best Short Story Collection" category of the 2014 eFestival of Words Awards.